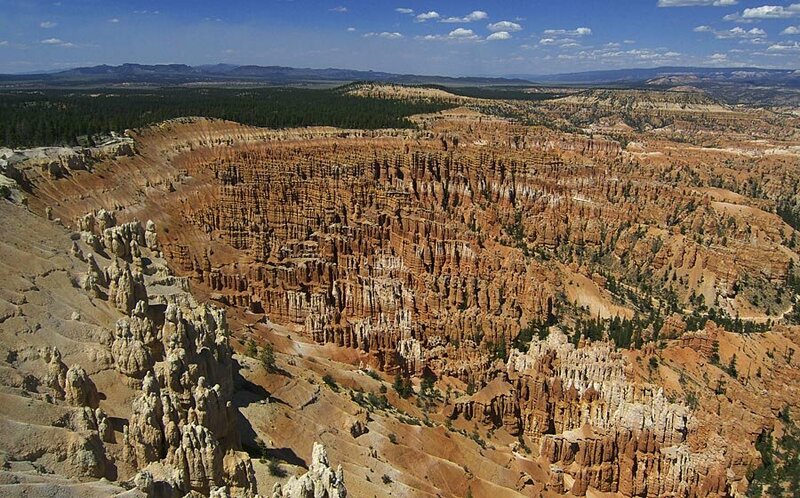 This is the view from Inspiration Point of Bryce Amphitheater. What you see here is the result of erosion over millions of years of the weak limestone sediments which were deposited by ancient rivers and streams into sort of a giant mud puddle known as the Claron Basin. Wind and rain, freezing and thawing, continually wear away the weakest layers first, leaving the stonger spires, or hoodoos which will eventually erode away too.